Have you ever wondered how an Apostle of the Lord Jesus Christ acts as a husband and a father? Elder Richard G. Scott, in General Conference of April 2011, reveals many personal and exceptional experiences he had with his late wife and children. Someone once interviewed Elder Scott and asked him if he would ever remarry. He responded, "If you did it right the first time, why would you do it again?" Through sickness and health, pain and joy, Elder Scott chronicles his marriage and his fatherhood in this sermon. Even though death took one of his children, he and his wife pulled together and drew closer to the Lord. After finishing listening to this talk, I knew that I needed to repent and improve. 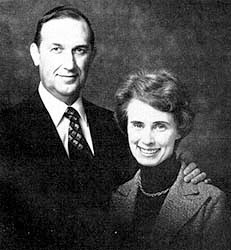 It reaffirmed President Monson's counsel to "Choose Your Love. Love Your Choice."